April, 2009 | You Think What? There’s good news for great kids and parents of great kids in Volusia County Florida! Great Kids Explorer Club, a not-for-profit 501(C)(3) organization is partners with Volusia County schools, churches and civic organizations in order to provide no charge after school programs for elementary school youngsters who are considered at-risk and economically disadvantaged. The Great Kids Explorer Club programs are designed to inspire children of elementary school age to improve their lives through building a better self image, improved behaviors, more productive attitudes toward learning, developing the ability to handle life’s challenges and strengthen their academic skills. Important qualities such as self-respect, respect of others, and a desire to do their best are instilled in these youngsters through interaction with teams of dedicated, passionate volunteers. U.S. Government And U.S. Banks In Collusion To Rip-off Consumers? “Say it ain’t so, Joe” was a popular saying during a baseball scandal back in 1919. The same can be said today in reference to the current banking scandal. Last fall it was announced, among other proclamations pertaining to the economic crisis and the banking industry, the Federal Deposit Insurance Corporation-FDIC, would increase by double the amount of money covered in the event a bank defaulted. Everyone cheered. Bankers, government officials and the banking public were delighted and relieved. Every week, since last October, banks continue to default . Comments Off on U.S. Government And U.S. Banks In Collusion To Rip-off Consumers? 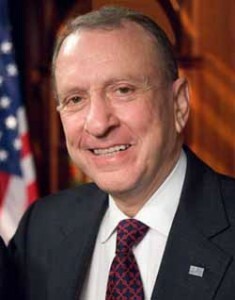 Pennsylvania Senator Arlen Spector resigned from the Republican Party to join the Democrats. About Torture: America Does Not Do It! We believe it is up to the people of the world, led by us, the people of the United States of America to demand to go forth with a campaign to shame and disgrace the administrators of torture. We believe this is the right thing to do. Comments Off on About Torture: America Does Not Do It! As Yogi Bera would say, “It’s deja vu all over again.” Florida legislators are poised to enact what many are calling “the most horrific voter suppression legislation seen in many years”. 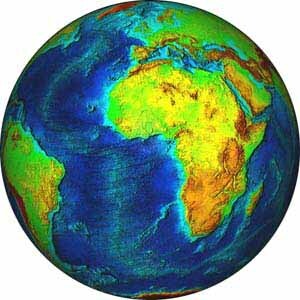 Today, April 22, 2009 is Earth Day. Norm Coleman: Concede The Election. It’s Over Dude! For many months Norm Coleman’s battle in the courts to win the senate seat in Minnesota is giving new meaning to the word tenacity. We are wondering when being tenacious, an often admirable quality, becomes a liability. Comments Off on Norm Coleman: Concede The Election. It’s Over Dude! We love music at YouThinkWhat! Our tastes are very eclectic. We’ve a new addition to the list of singers we love. We join the growing group of worldwide fans of Susan Boyle of Blackburn, Scotland, U.K. who entertained during her audition last weekend for the show Britain’s Got Talent. Her rendition of “I Dreamed A Dream” from the hit musical “Les Miserables” brought the audience to its feet in total approval and support of her ability. Created by miloIIIIVII | WordPress | Entries (RSS) | Comments (RSS) | 34 queries. 0.776 seconds.